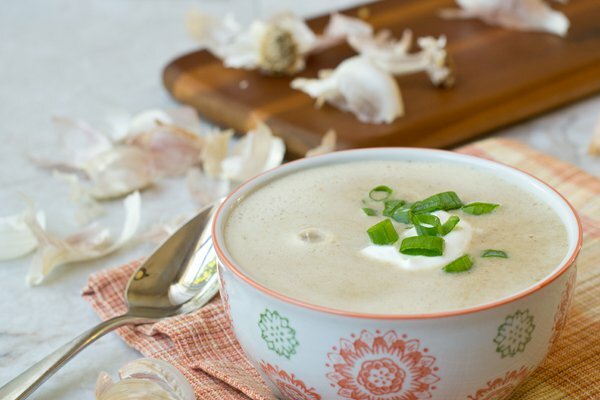 Garlic soup fights off flu, cold and even the Norovirus. It is made of garlic, onion, and thantibiotics on the market. Antibiotics are used more than ever, and this has affected their efficacy and even led to antibiotic resistancy. This is why people turn back to nature and seek for natural remedies. Winter Norovirus, commonly known as winter vomiting bug, received a lot of attention in 2014. It is characterized by vomiting, diarrhea, fever, stomach cramps, and headache. 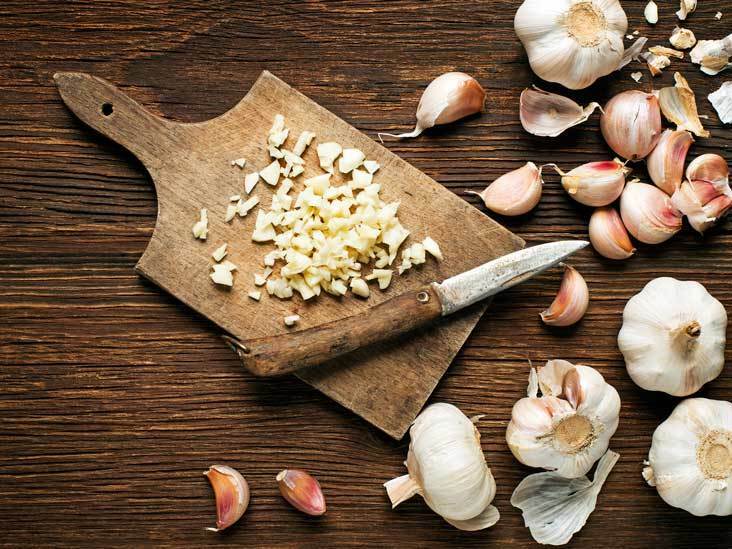 Unlike conventional antibiotics, garlic can fight off mutated viruses and infections. It is packed with allicin, which is most concentrated in garlic cloves. A study conducted at the Washington University has confirmed that garlic is more potent than 2 most commonly used antibiotics. Preheat your oven to 350°F. In the meantime, clean the garlic bulbs and spread your cloves on a sheet of tin foil. Drizzle over some olive oil and wrap it up. Roast the cloves in a preheated oven for 90 minutes. Let them cool for a while. Melt 2 tablespoons of olive oil and 2 tablespoons of butter in a saucepan. Cook your diced onion for 10 minutes. Once your cloves have cooled down, blend them together with the onion. Add in fresh thyme and herbs of your choice. Reduce the temperature and add in bread crumbs or cubes. Cook for 5 minutes or until your bread is soft. Take the herbs off the mixture and blend until smooth. Put your soup back in the pot, add in some sour cream and season with salt and pepper to taste. Enjoy your garlic soup!